Understanding the location and condition of your assets is important for compliance and operational integrity. 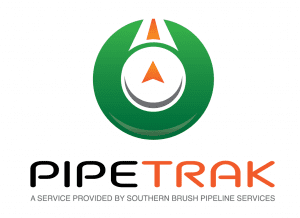 PipeTrak – a specialized geolocation and surveying program offered by Southern Brush – uses industry-leading equipment to locate pipelines and collect geospatial data. Our crews utilize best practices to ensure a high level of accuracy and safety. Southern Brush is capable of locating lines and marking rights-of-way in conjunction with data collection. The final product offers proof that lines are marked in accordance with federal and state law. Geotagged images integrated into the data will allow managers to prioritize constructions projects, vegetative control needs, and more. Southern Brush marks rights-of-way in accordance with best practice procedures to ensure compliance with federal and state law (line-of-sight, road crossings, etc.). Line marking can be accompanied by data to provide proof of work performed. Southern Brush has experience installing many different types of signs used on oil & gas pipelines. Final product can be overlaid onto aerial imagery compatible with field operations. Southern Brush uses top-of-the-line equipment to provide our line-location services, including Vivax line locators and Trimble GPS units. PipeTrak services have been performed on over 10,000 miles of pipeline.